In an electric water heater, water is heated and stored inside an insulated water holding tank. Water temperature is maintained by thermostat control. As hot water is used, cold water flows into the bottom of the tank to replace it. The cold water triggers the thermostat to activate heating, ensuring that the holding tank stays full of hot water ready for use. Hot water is dispensed at the water pressure level of the building’s water main. So, the whole quantity of stored hot water can be dispensed immediately, which allows the holding tank to dispense to multiple water outlets at the same time with consistent water pressure to all valves. When the hot water supply is entirely depleted all at once, the unit’s heating component heats the replacement water to quickly return the full volume of water to the selected temperature. Modern twin-element water heaters heat even faster. So, models with programmable timers can be set to run during electric company off-peak hours for impressively low-cost water heating. Units can be installed either indoors or outdoors. And, sizes vary widely to accommodate all needs—from fitting units into tiny apartments spaces, to requirements for very large capacity water heaters. Reliability: Electric water heating is the most reliable method for the fastest water heating, reducing heat loss in water heaters. Capacity: Tank capacity ranges from zero storage in tankless water heaters (also called utility water heaters, or point-of-use water heaters). Durability: The expected life of electric models is around 11 years. In many circumstances, installing a water-softening system can make water heaters last significantly longer. Efficiency: Today’s conventional high-efficiency water heater models can greatly reduce water heating costs. And, new state-of-the-art tankless water heating units fully minimize hot water bills. Affordability: There are many choices of affordable electric water heaters for home use. And, the increasing efficiency of modern commercial hot water heaters makes them more affordable. Additionally, electric water heater installation costs are very affordable, making owning electric water heaters for home or business use the best water heating option. Environmentally safety: Tanks for electric models contain environmentally safer insulation. When a comparatively new electric hot water heater doesn’t heat water, heats the water too slowly, or just runs out of hot water too fast, the problem can usually be solved by simply replacing the heating element(s). Typically, units last for 10-15 years. It is sometimes more cost-effective to replace old water heaters. For more information about electric water heater repair, or if you need water heating system service or other plumbing services in Utah, contact us to speak to one of our plumbing experts at Beehive Plumbing. We provide quick, reliable, affordable solutions, and honest, professional, friendly service. 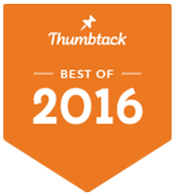 We confidently stand behind our work so much that we provide a 10 0 percent guarantee on all of our plumbing services! We proudly serve our commercial and residential customers in Salt Lake City, the greater Northern Salt Lake area, West Valley, Bountiful, and throughout Utah. 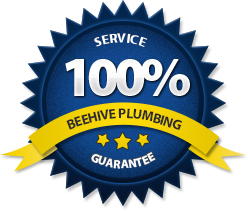 Call Beehive Plumbing in Utah at 801-312-8102 to schedule your free consultation and estimate and use one of our coupons for a $50 discount on water heaters.